Facing the New York legal system can be a time consuming and stressful experience. But you don’t have to face it alone. At Anderson & Cahill, LLP, our clients have relied on us to address their legal matters with the highest level of professionalism and understanding since 1988. With their more than 60 years of combined legal experience, partners William A. Cahill, Jr. and John A. Anderson, Jr. bring their unique talents and skills to every case they handle. Legal services you can depend on — Because we take the time to carefully understand your unique needs and concerns, we can help you explore the options and strategies that have the best chance for long-term success. Result-oriented solutions — We analyze your matter from multiple angles in order to develop strategies that maximize your chance of success. High level of professionalism — We strongly adhere to professional standards of conduct and ethics, which means we pursue your best interests with integrity. We hold ourselves to the highest levels of personal and professional behavior. 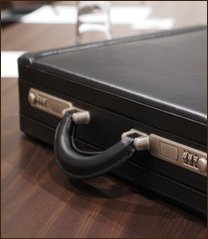 Regardless of your legal matter, we serve you with integrity so you can be confident within the New York legal system. At Anderson & Cahill, LLP we believe that our clients should know what they can expect when entering into a professional relationship with an attorney. We offer honest, direct and clear appraisals, as well as honest details about the pros and cons of your case. We remain available and responsive throughout your case to give you updates and answer any questions you have. If you have a general practice, business law or estate planning or administration matter, Anderson & Cahill, LLP can help. We are New York attorneys you can depend on for genuine support, compassion and integrity. To schedule an appointment, call us at 718.530.0220 or contact us online.